There are two gigantic franchises that are about to bring their own versions of how battle royale is meant to be played. With hopes to cash in on the trending genre, Black Ops 4 and Battlefield V will release this year with a dedicated mode that similarly blends survival and scavenging elements. The two installments will do more than just support battle royale, going as far as tailoring the gameplay in accordance with what has made their respective franchises popular over the years. There still remains a few months before they are released worldwide and hence, the information floodgates have yet to be fully opened. However, what has been shared so far allows for a quick comparison to ascertain what each mode offers and how the two are going to be different. Treyarch already laid it out months ago that Black Ops 4 will be jumping on the battle royale bandwagon this year with Blackout. For whatever reason, DICE refrained from naming its own battle royale take for Battlefield V all this time. The mode was only confirmed this week to be called Firestorm. Black Ops 4 will be set between the events of Black Ops 2 and Black Ops 3, sometime between 2025 and 2065, to bring back “boots on the ground” combat. This “near-future” setting will go hand in hand with the type of weapons, vehicles, and everything else needed to win a war. In complete contrast, Battlefield V will follow through with the historical side by taking place during the World War II era. The idea will be to visit conflicts that are less celebrated than the Normandy landings, the Rotterdam Blitz, and such. Black Ops 4 will grant the opportunity to wage war on all three fronts — land, air, and sea — for the first time in the Call of Duty franchise. The past installments have always focused the ground but that will now change with support for the other two fronts as well, even if they are condensed for just transportation in Blackout. Battlefield V should also offer the same fruit basket since the franchise has always been about fighting a war on all three fronts. However, the navy aspect seems to have been ignored this time around. It does not seem like there will be aircraft carriers and destroyer warships anchored across the coastline unless post-release content additions drop a spotlight on naval warfare like how it happened with Battlefield IV. Firestorm will task players with more than just survival in Battlefield V. They will have different objectives to pursue with their squads such as controlling points and constructing defenses in order to unlock valuable gear. This will help in being the last ones standing in otherwise typical battle royale fashion. Blackout, on the other hand, will follow the traditional Call of Duty route with Black Ops 4. The only objective will be to accept the fast-paced gameplay and survive until the end with nonstop first-person shooting action. 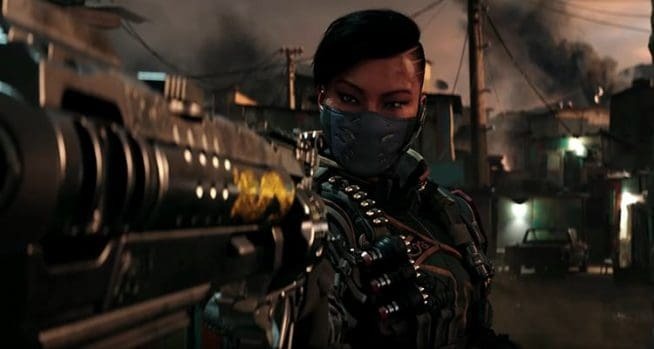 Blackout will collect some of the most popular weapons from past installments in the Black Ops series such as the Rampart-17 and Vapr-XKG assault rifles, Paladin HB50 and Koshka sniper rifles, Saug-9mm and Titan submachine guns, and the Hellion Salvo rocket launcher. There will also be pistols with the option to carry two primary weapons at the same time, alongside a handy knife for getting close and personal. In terms of vehicles, there will be five in total. Four of them have been confirmed to be a Cargo Truck, ATV, Zodiac Inflatable Boat, and a Bird Helicopter. The number of passengers vary in each case. There is still much that remains to be revealed about Firestorm but the powerful Panzer IV and Tiger 1 tanks are confirmed to be some of the available ground vehicles. There will also be Churchill tanks, the Opel Blitz truck, Sturmtiger, and the Volkswagen Kübelwagen. In the air, players will see the likes of the Bristol Blenheim, Junkers Ju 87, and Supermarine Spitfire making rounds. Battlefield V will have an expansive armory and Firestorm will make use of that in every sense. The weapons will range from the M1 Carbine to the M1 Garand, from the Gewehr 43 to the Lewis, and such. Several tiers from Battlefield 1 will mark a return in the new installment. The ongoing beta testing for Black Ops 4 currently features 80 players in total for Blackout. Treyarch did try to manage more than a hundred players but now wants to focus on quality rather than quantity. In that light, the developer has suggested feedback to directly affect the player-count in the future. In comparison, the ongoing beta testing for Battlefield V does not include Firestorm, at least for the time being. DICE, however, has confirmed support for 64 players in total for the battle royale experience. There has been no mention of increasing this number, and which is likely to remain so throughout. 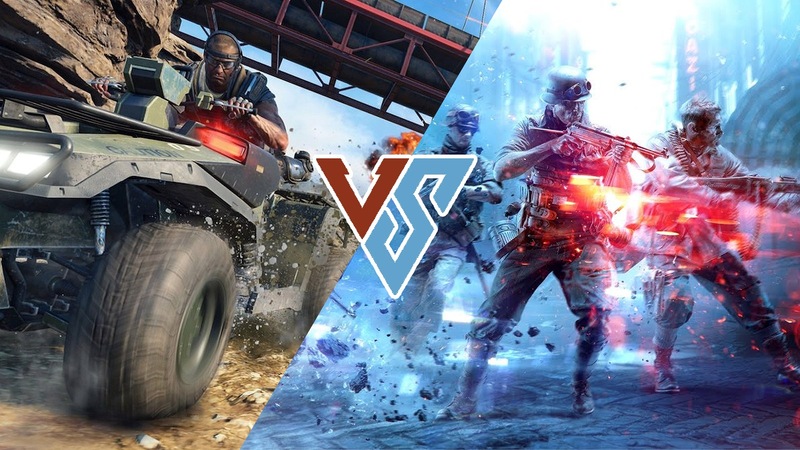 Both player-counts are lower than the high threshold set in PlayerUnknown’s Battlegrounds and Fortnite, significantly so in the case of Battlefield V.
Dynamic terrains have always been core to the Battlefield franchise. While the gameplay element is not being termed as “Levolution” from Battlefield IV, the same destructive properties will carry forth into Battlefield V and Firestorm with major refinements. Unfortunately, the Call of Duty franchise is still yet to delve into destructible terrain. 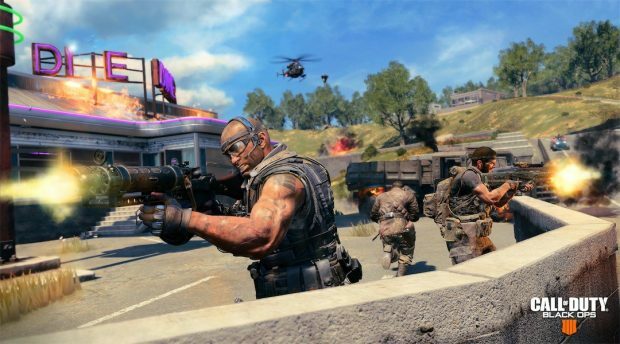 Black Ops 4 and Blackout will not feature anything of the like and stick to its traditional focus on weaponry than environment. Black Ops 4 is scheduled to release worldwide for PlayStation 4, Xbox One, and PC on October 12, 2018. Blackout will be a day-one affair, meaning that players will not have to wait for a post-release update to make the battle royale mode available. Battlefield V was initially pegged to hit retail on October 19, 2018, before being delayed recently by a month. The installment will now release worldwide for PlayStation 4, Xbox One, and PC on November 20, 2018. Firestorm is expected to be given the day-one treatment as well unless DICE reveals otherwise. Which side are you taking this year? Let us know in the comments below.